Iodine from iodized salt is poorly absorbed and is not a healthy choice for raising iodine levels in the diet as refined table salt contributes to a host of health problems. 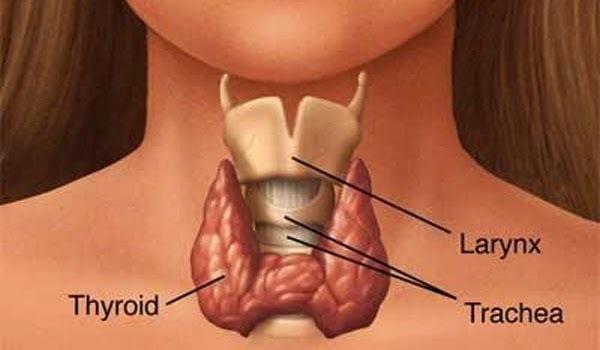 Iodine is absolutely necessary for thyroid function, but too much iodine (especially iodine outside of food) can impair thyroid function as well." The thyroid is quite vulnerable to environmental toxins including, but not limited to, pesticides, herbicides, BPAs, jet fuel, perchlorates, thiocyanates, PCBs, lead, chlorine, fluorine, bromine, and many other chemicals we come in contact with that have been proven to cause hypothyroidism. We are bombarded with these chemicals due to the way we construct buildings, the way we produce products, the way we travel, and the way we grow food. Our only defense is high quality nutrition and avoiding toxin exposure through diet, chemical exposure in our environment, and absorption through the products we use for personal care." Selenium is required for the body to convert T3 into T4. Without enough selenium in the diet, the thyroid suffers. Seafood and meat are high in selenium, but there are also some vegan choices.